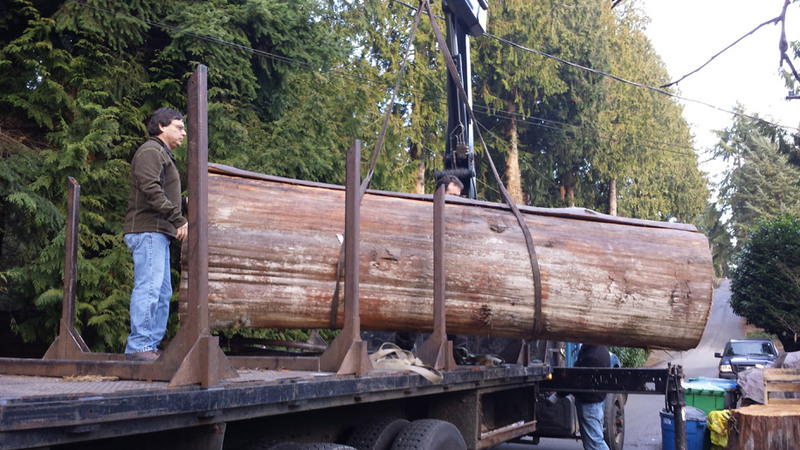 The immense old growth cedar log that will become Heronswood’s totem pole arrives. 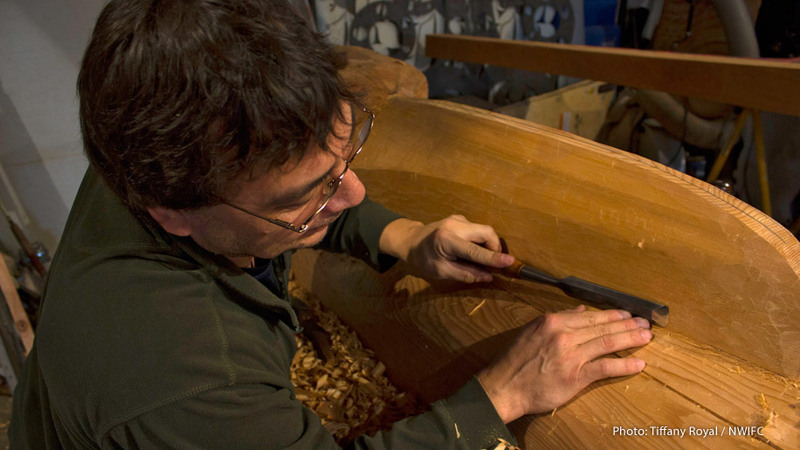 The log was donated by the Port Gamble S’Klallam Tribe. A drawing of Perry’s final design concept, which was selected by the Heronswood Steering Committee and Port Gamble S’Klallam Foundation. 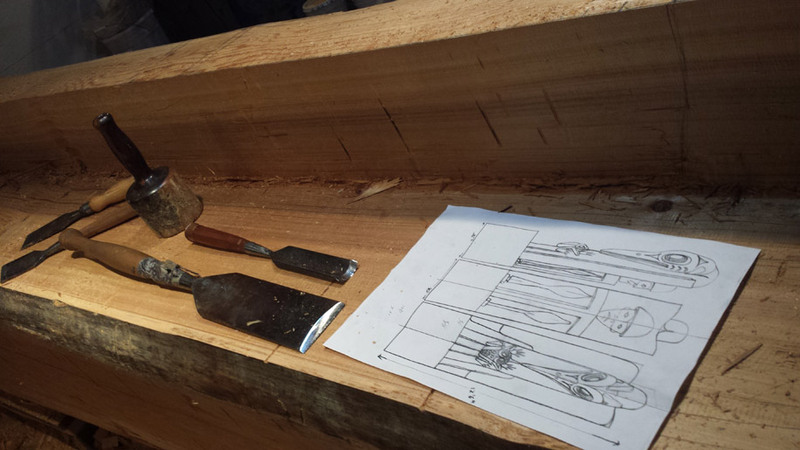 A face begins to take shape. 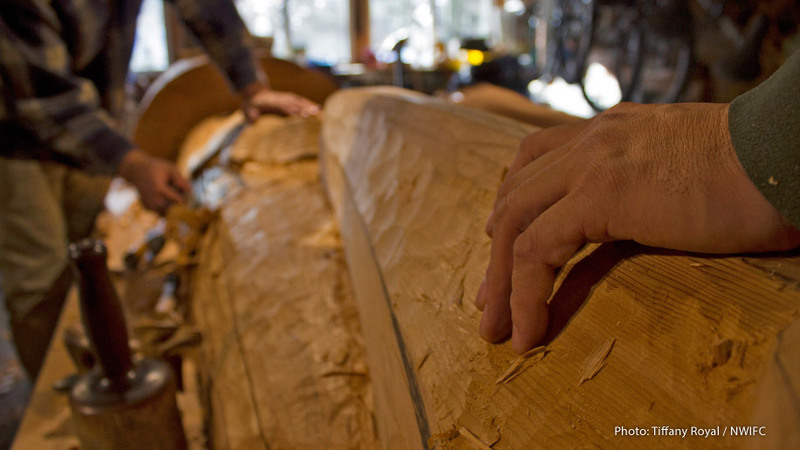 This side of the pole features a Coast Salish house post design. 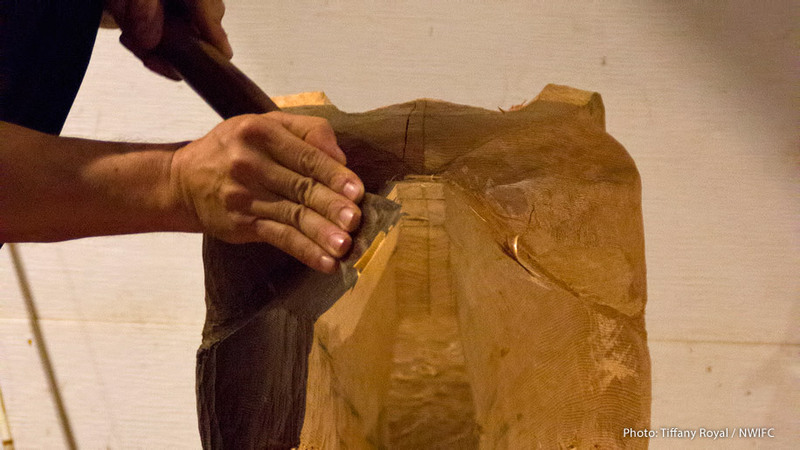 An adze is a common tool used in carving. 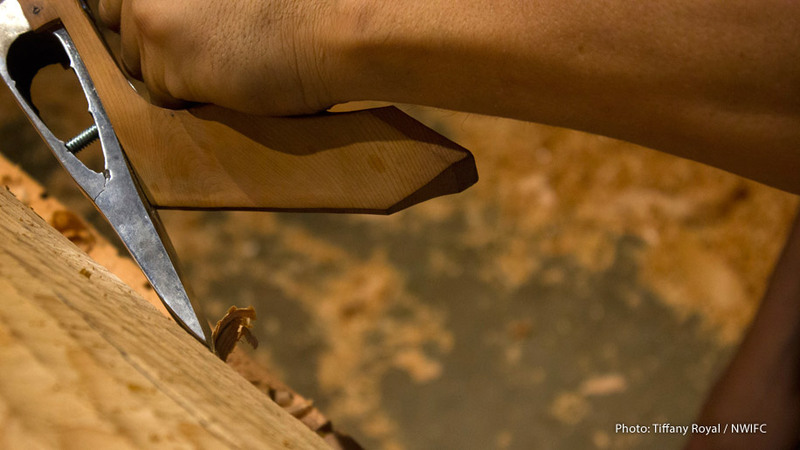 Similar to an axe, it is used to shape large pieces of wood with its arched blade. 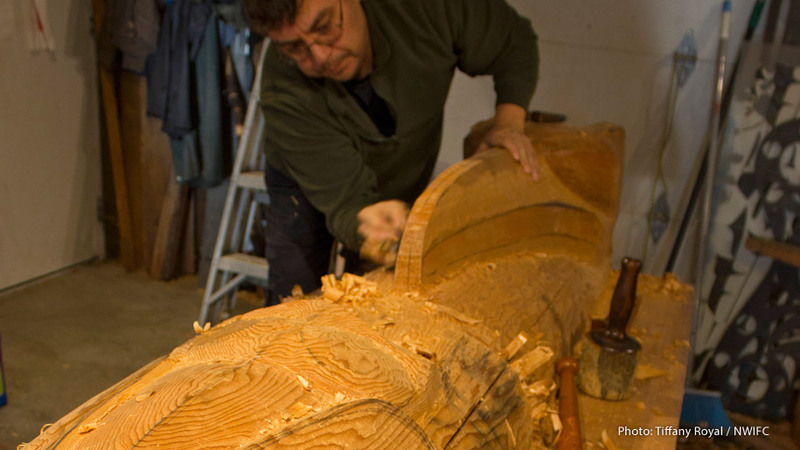 The Heronswood totem pole took several months to carve. 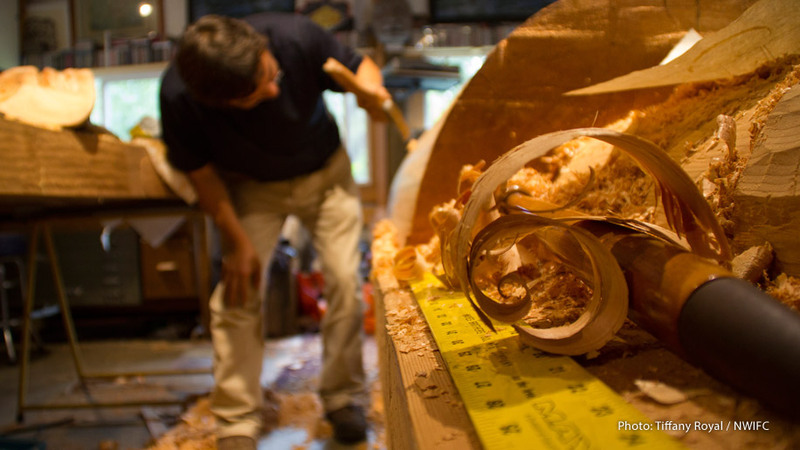 Aside from the initial large cuts, all the carving was done by hand. Heronswood’s logo features a heron and frog, which served as inspiration for the totem pole’s design. 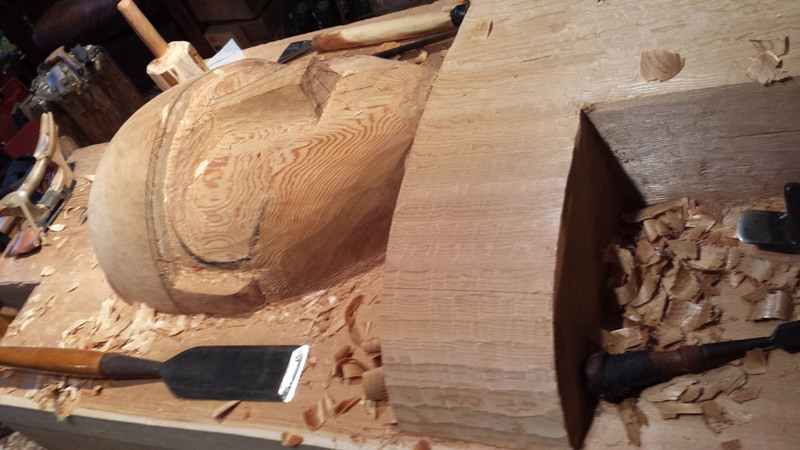 Here the heron begins to take shape. 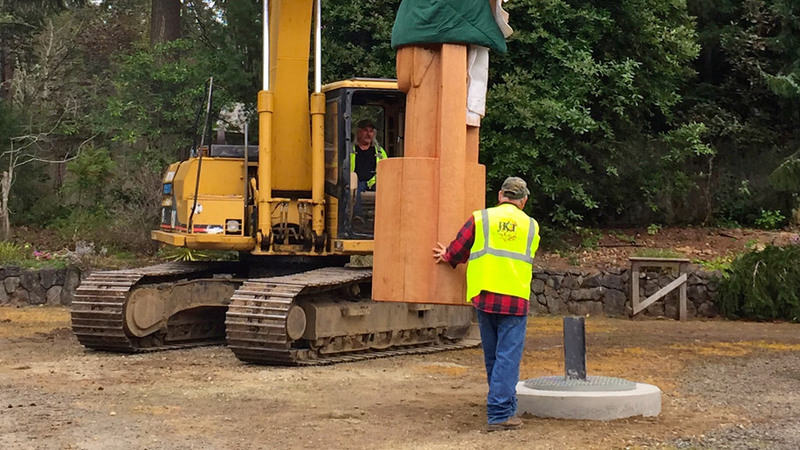 After almost a year of planning, design, and carving, artist Brian Perry brings the totem pole to its new home at Heronswood. 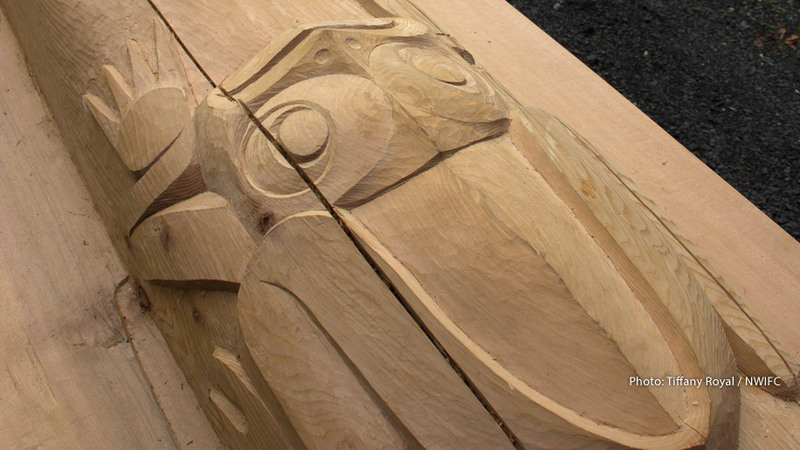 Heronswood’s logo features a heron and frog, which served as inspiration for the totem pole’s design. 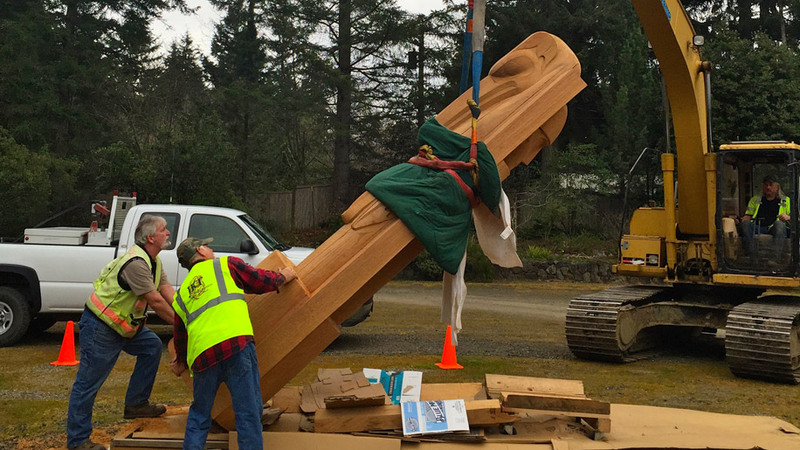 On March 13, 2015, Jamestown Excavating permanently installed the totem pole at the entrance to the garden. 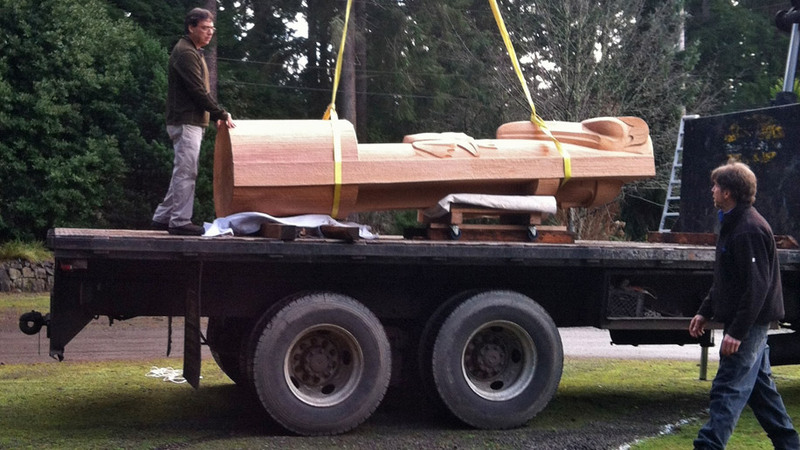 A crane was used to hoist the 12.5 foot tall totem pole up and gently down onto its base. 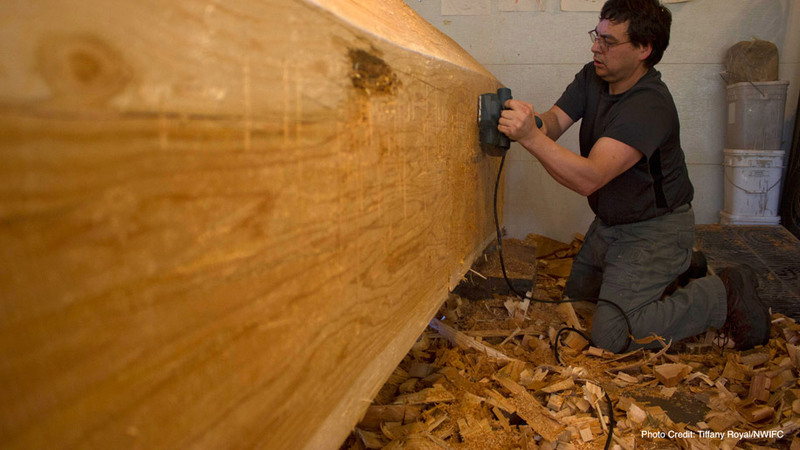 Permanently installing the pole was a delicate process. 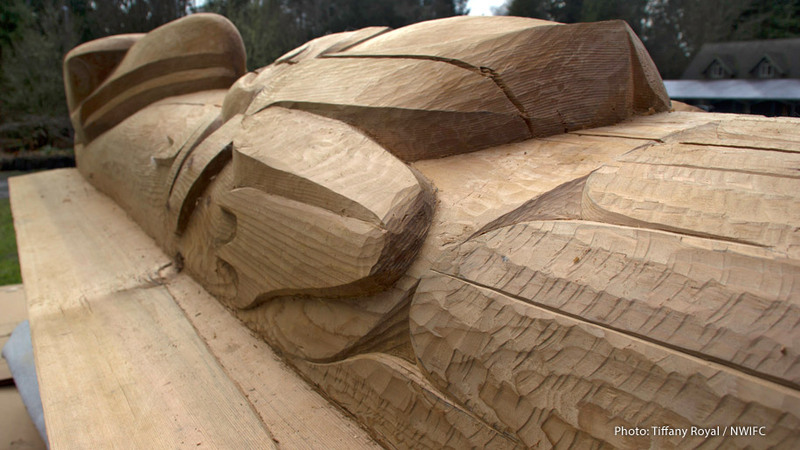 This totem pole is unique in that it was carved out of one large old growth log; many poles are carved in two pieces and then joined together when installed. 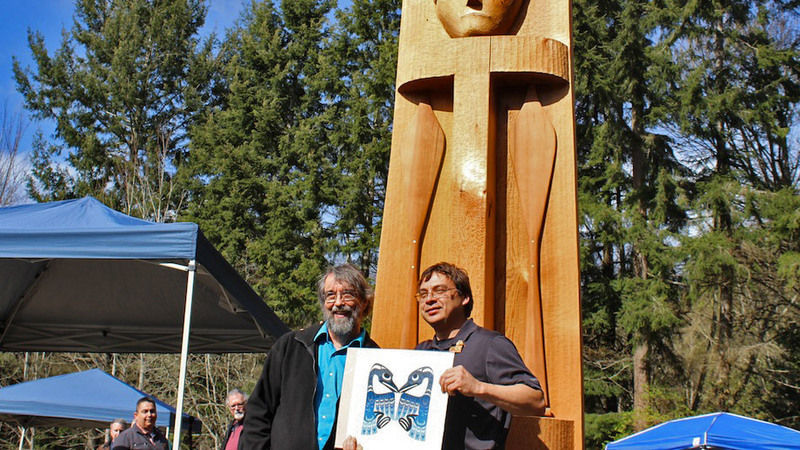 On Saturday, March 14, a private ceremony was held to dedicate the totem pole at Heronswood. 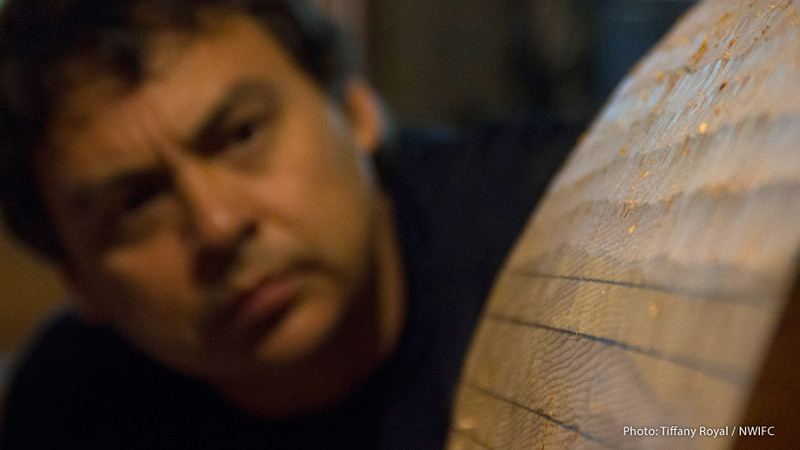 Here artist Brian Perry addresses the crowd as the pole is revealed. Artist Brian Perry thanks Laurie Mattson, the retired director of the Port Gamble S’Klallam Foundation who spearheaded the project. 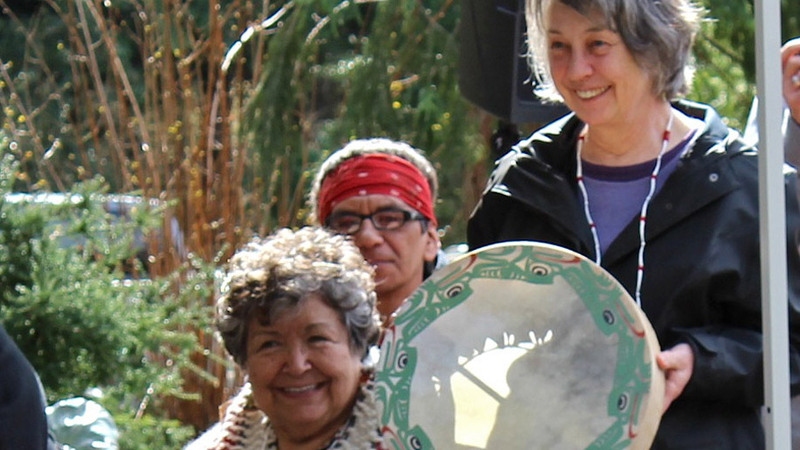 Retired Port Gamble S’Klallam Foundation director Laurie Mattson (at right) with Jamestown S’Klallam elder Elaine Grinnell, who spoke at the dedication. 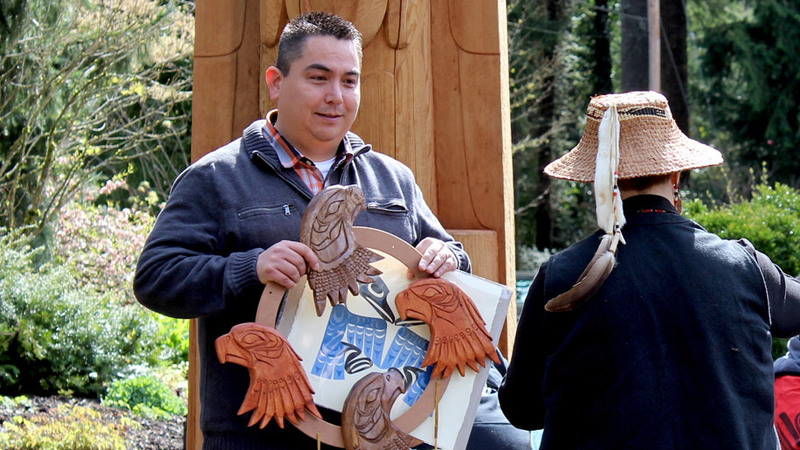 Port Gamble S’Klallam Chairman Jeromy Sullivan. 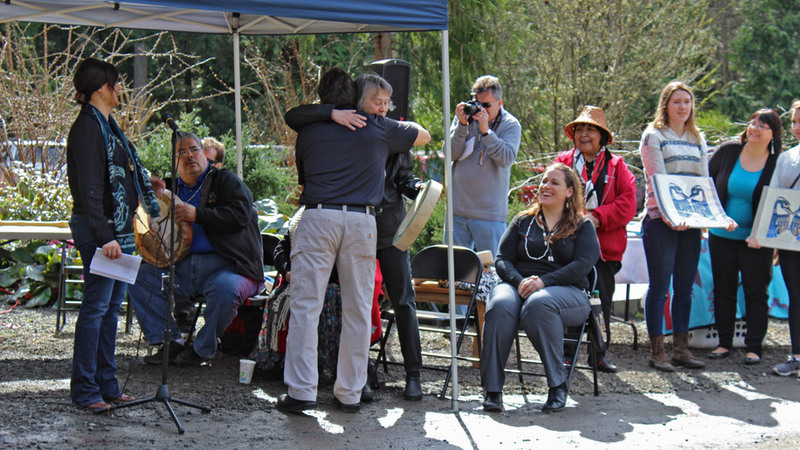 Heronswood co-founder Robert Jones accepts a gift of a specially crafted drum from Gina Stevens, Port Gamble S’Klallam attorney and sister of artist Brian Perry. 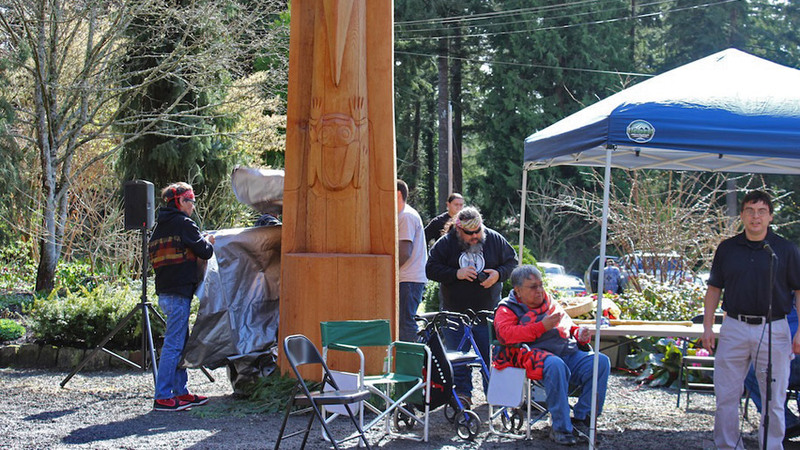 During the dedication, artist Brian Perry joined others in a dance around the totem pole he created. 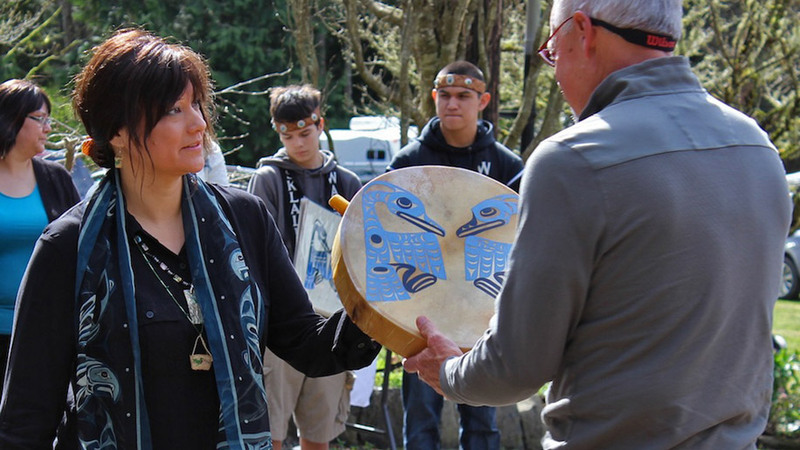 The dedication celebration included many traditional songs shared by the S’Klallam Singers. 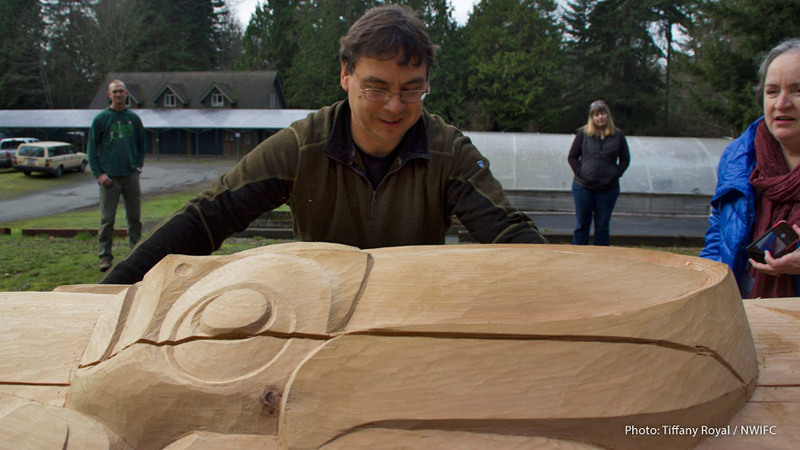 Artist and carver Brian Perry (right) posing in front of the totem pole he created. 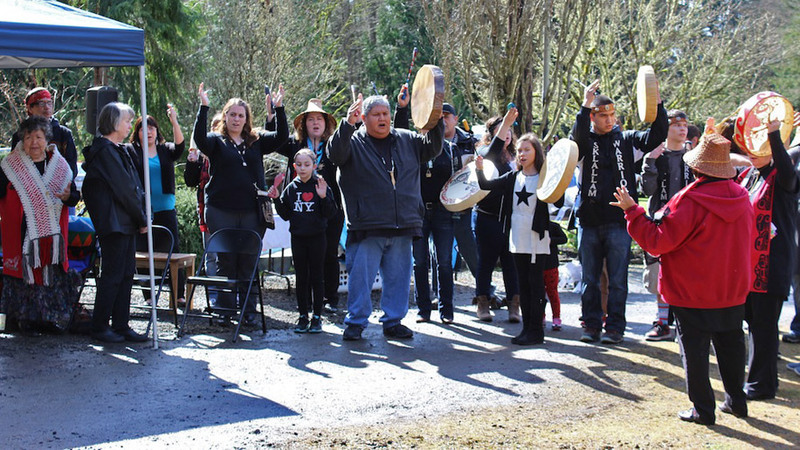 We would like to thank the financial contributors to this project, which include the Port Gamble S’Klallam Community Awards Program, National Endowment for the Arts, The Hugh & Jane Ferguson Foundation, The Norcliffe Foundation, Potlatch Fund Native Arts, TriFam Foundation, and John A. Wott, PhD. 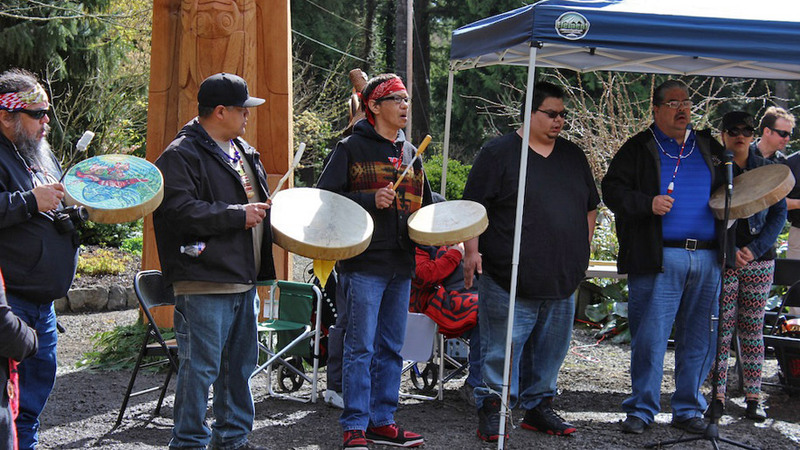 Hopi-Cheelth (Brian Perry) is a member of the Port Gamble S’Klallam tribe. Born in 1967, he was raised on the Port Gamble S’Klallam Indian Reservation in Washington State where he lived with his grandparents most of the time. His grandfather took him everywhere. 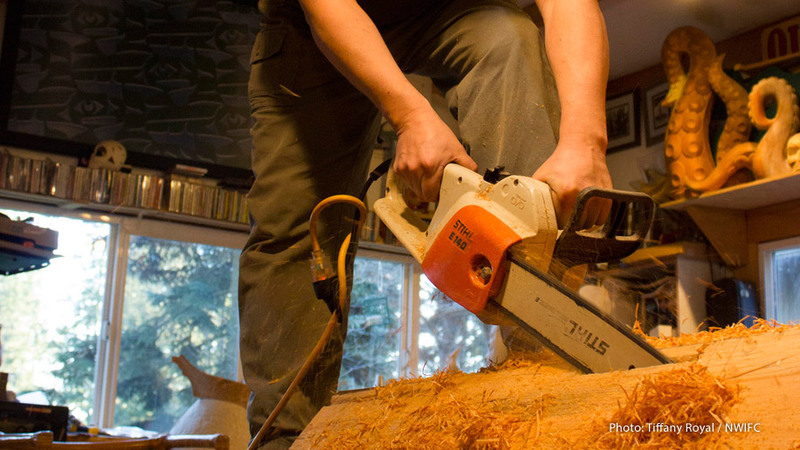 He taught him how to hunt, fish, dig clams, smoke salmon, cut firewood, catch crab—basically everything a young boy needed to learn to become an appreciative and respectful man. 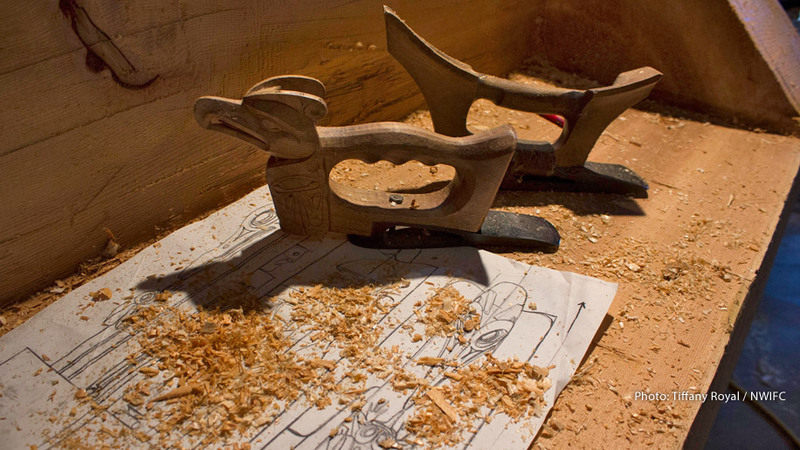 Brian grew up around carvers but did not really start carving himself until September of 1998, when he took three classes from David Boxley; box making, formline design, and masks. 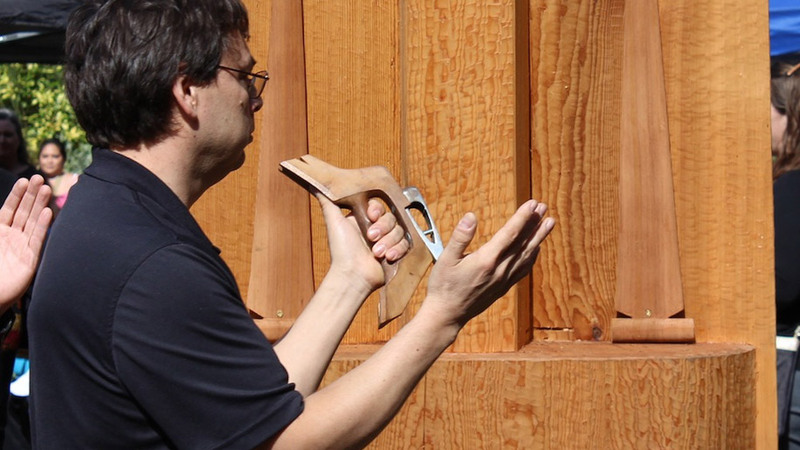 Brian has also studied under Ed Charles, Duane Pasco, and David Franklin. His art has been exhibited in galleries in Seattle, Portland, and Olympia. 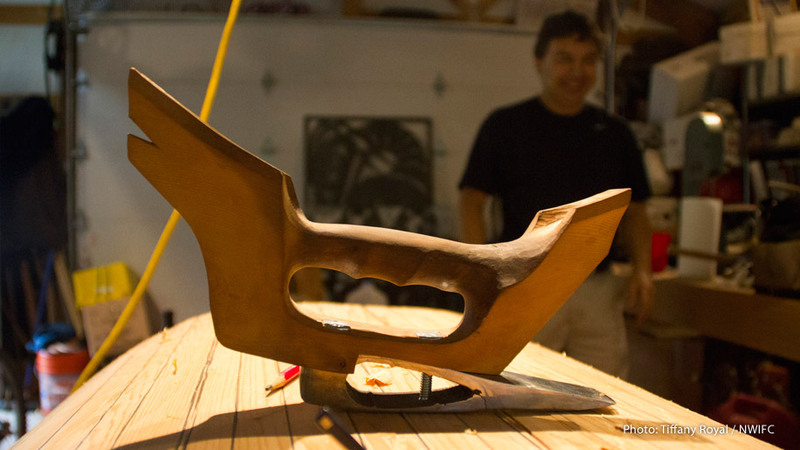 He has sold pieces to private collectors in New York, New Mexico, and Pennsylvania, as well as here in Washington.